A simple, yet clever way to brighten up your drink capturing the beauty of nature as well as adding a pop of colour is to garnish it with these pretty DIY floral ice cubes. First thing's first you'll need a selection of edible flowers. Ensure that you do check online (or with your florist) that your flowers of choice are definitely safe to consume- before there's any nasty surprises. (We chose fresh roses, dried rose petals and nasturtiums). You will also need a silicone ice cube tray, jug and water. 1. 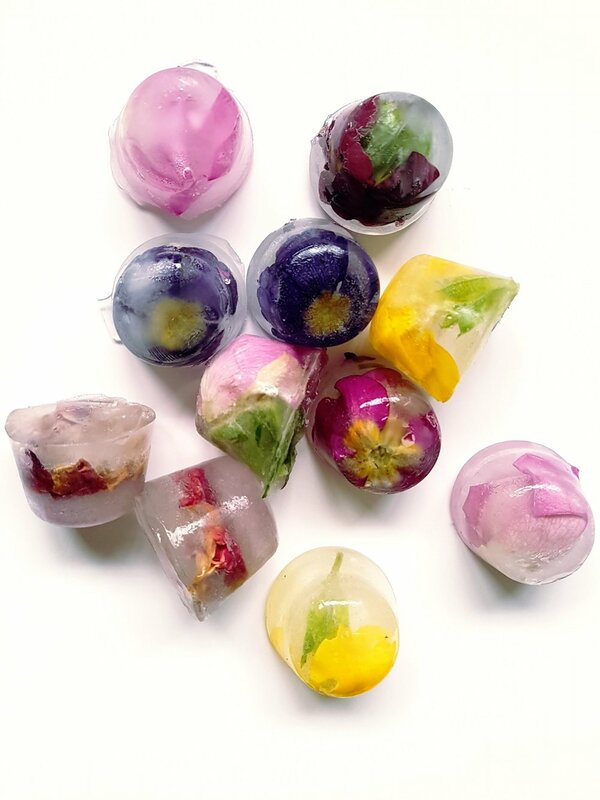 Start by placing your flowers in each ice cube tray pod, and be creative- try various compositions and mixing colours/textures. 2. Boil some water and place in an easy-to-pour jug. Let the water cool right down and fill your pods 1/3 full. 3. Delicately place in the freezer and leave for 12 hours. 4. Repeat until your pods are full and leave for a further 12 hours. 5. You can gently pop out your pretty cubes and you're ready to go. BRAVO!